Custom Bus Shelter | BIG Enterprises Inc. Bus shelters today are very different from those built even a few years ago. Thanks to companies like B.I.G. Enterprises, these structures are no longer mundane. In fact, shelters and booths are now visually pleasing as well as functional. For people who depend on public transportation, modern-day shelters make the wait safer and more comfortable. Bus shelters are designed to provide people with shelter from the harsh elements. While some shelters have a basic design that consists of nothing more than a covered roof and bench, others incorporate technical and even elaborate design elements. 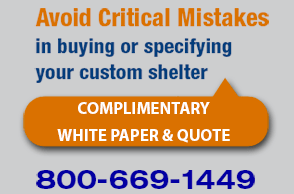 As you look around, you will have no problem spotting shelters that have a sleek and streamlined aesthetic that creates a modern appeal. Instead of traditional benches, some shelters are personalized with uniquely designed seats. A perfect example of this is a bus stop in Germany located outside of the Vitra Design Museum. There, people can relax in Eiffel Wire chairs that blend in perfectly with the environment. It is also becoming more common to find environmentally friendly bus stops. A student attending the University of Kentucky designed one such bus stop in Lexington. In his quest to make a shelter that was ecofriendly, he used colored pop bottles equipped with solar-powered LED lights. In the daytime, the bottles appear as stained glass, but at night, they offer gentle illumination that enhances safety. There are even environmentally friendly shelters designed with high-tech features. For instance, the YBR bus stop concept is not only ecofriendly but also an adaptable piece of art that includes mobile phones for communication in sending out schedule and route information. Completing the design are various green materials and solar panels. For today’s bus shelters, you are limited only by your imagination. Regardless if you need a bus stop that complements the surrounding environment, one that is environmentally friendly, or perhaps one with a cutting-edge design complete with the latest and greatest technology, B.I.G. Enterprises can accommodate. With the right design, bus shelters do more than protect people, pets, equipment, and more from rain, snow, wind, and sunlight. Booths make everyday life easier. Modern bus stops are also excellent marketing tools in that they can be customized specifically for a company or brand. The possibilities are truly limited only by your creativity. By working with a representative from B.I.G. Enterprises, you will be thrilled with the results.